Originally, the sofa was a staple of the English sitting room; the Chesterfield and the Club sofa were indispensable at soirées at the beginning of the twentieth century. 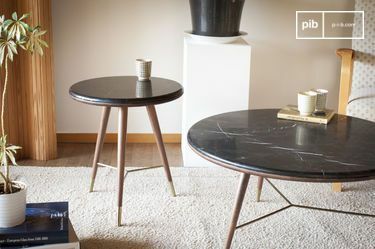 Around the 1950s, Scandinavian designers took advantage of this material to develop this noble material, adapting its shape to make it simpler, cleaner, thus creating a purer, geometrical ambience. 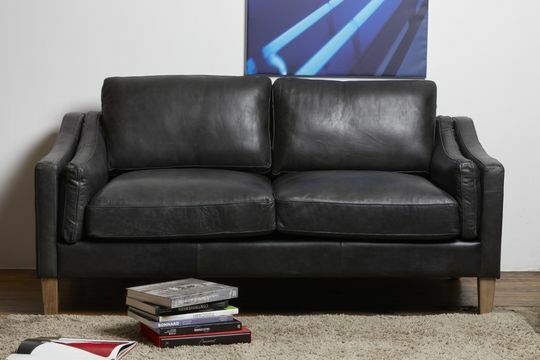 PIB offers a selection of leather sofas covering all these styles, always with the guarantee of an impeccable quality. 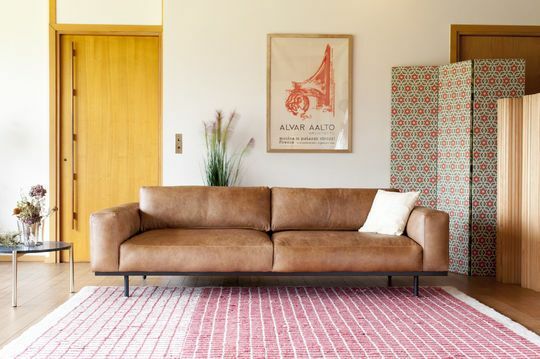 The leather sofa exists in many different shades, ranging from light beige through to burgundy, red and black. The variety of colours can be associated with a variety of styles. 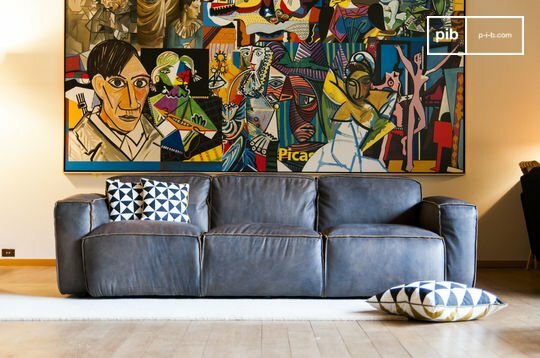 The emblematic Chesterfield remains indispensable in industrial interior design, with its timeless appearance and optimal comfort. 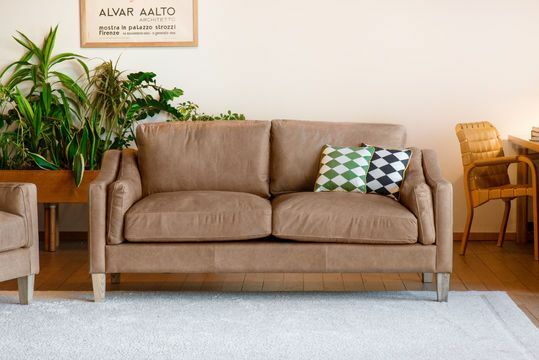 Scandinavian sofas, on the other hand, have a relatively straight shape, in pure tradition of the Nordic style. 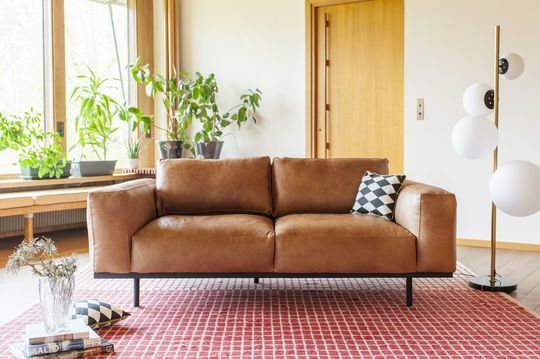 Perfect in all types of living rooms, leather sofas can be matched to a chair of the same style and a coffee table can be adapted easily to create a room with a successful vintage feel. 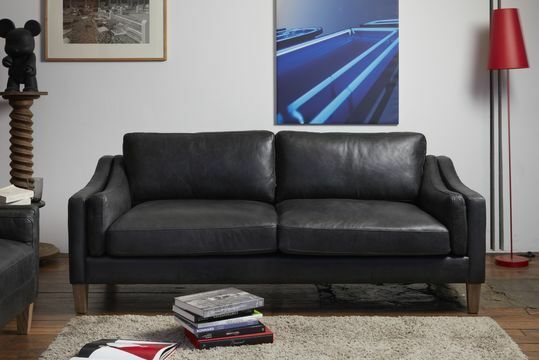 Whatever its style, buying a leather sofa, is assurance of acquiring quality furniture with timeless design, which will remain at your side for many years to come. The rigorous selection of materials and the care given to the finishes prove this. 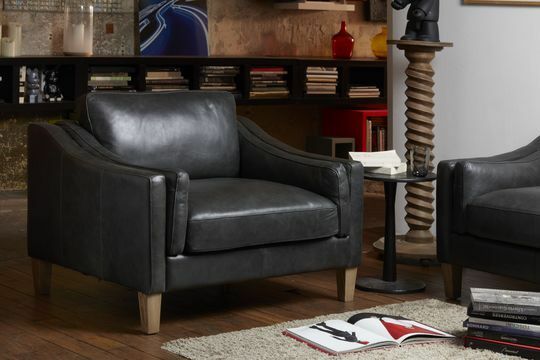 We specially selects full-grain leather, both for its strength and for its aesthetic value. 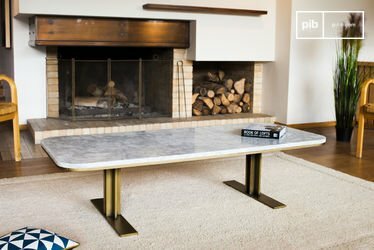 We also pay careful attention to the structures and the frames, generally made of a solid wood with cushions mounted on straps or bi-conical springs for ideal comfort. 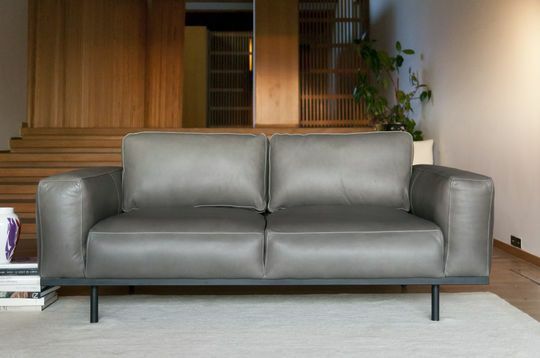 After a hard day's work, enjoy your sofa for a moment of relaxation. 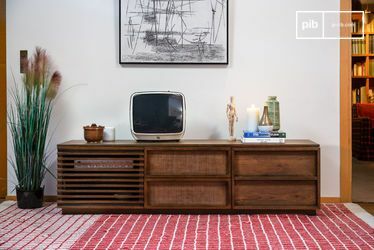 Choose one of our vintage TV furniture pieces to place in front of your new sofa and enjoy a pleasant evening. 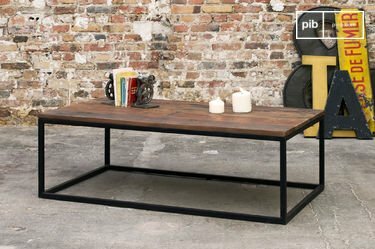 If you have a large desk, a leather sofa will also create a successful effect similar to that, of a retro bookcase.